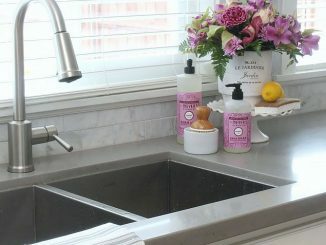 I’m a member of the Better Homes and Gardens Live Better blogger network, all opinions are my own. 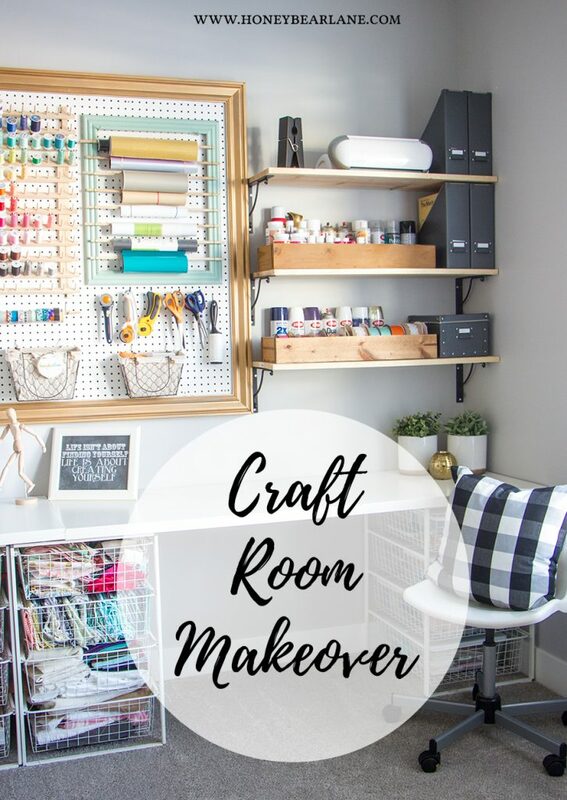 I just did a small project that has made me SOOOOOO happy, you guys. I organized my pantry. 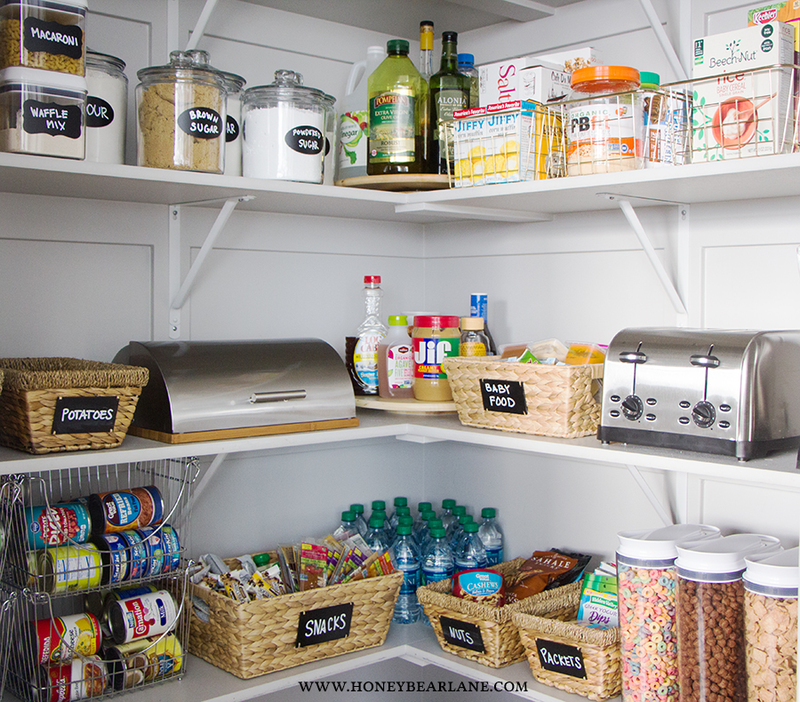 Yes, I have an organized pantry. I even surprise myself with how organized I’m becoming because historically I have NOT been organized at all. But since doing little projects here and there to get organized I’ve discovered how happy it makes me and how incredibly nice it makes my life. Look at how this turned out. Yay for organization! Here’s the thing…this project rated like a 2 on my difficult project scale, with 10 being the hardest. 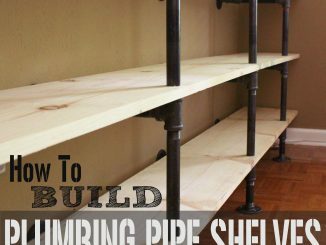 So it was actually a really easy project and I’ve broken down the process in 10 simple steps. 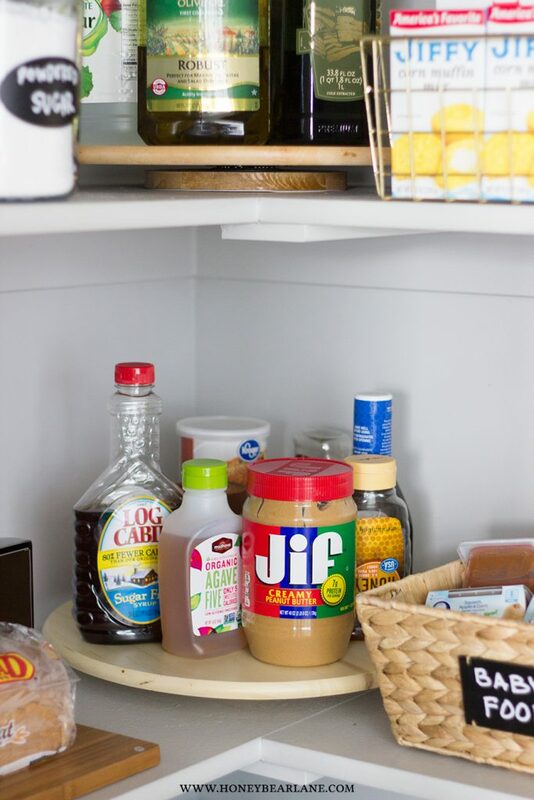 Clean out the pantry (this is the hardest part) by removing everything and wiping down shelves, throwing away old gross stuff and getting rid of food you aren’t going to eat. Enjoy your clean and organized pantry! I can’t even tell you how a simple thing like this has made my life so much happier. I discovered all this food I’d forgotten I had and now that it’s clearly visible and labeled, I know exactly what I have on hand and what I need more of. I also am excited to cook with the food I forgot about. Favorite things: Okay, everything is my favorite. Let me discuss each thing that is my favorite. Can Organizer: I found these wire bins at Walmart in their kitchen area. 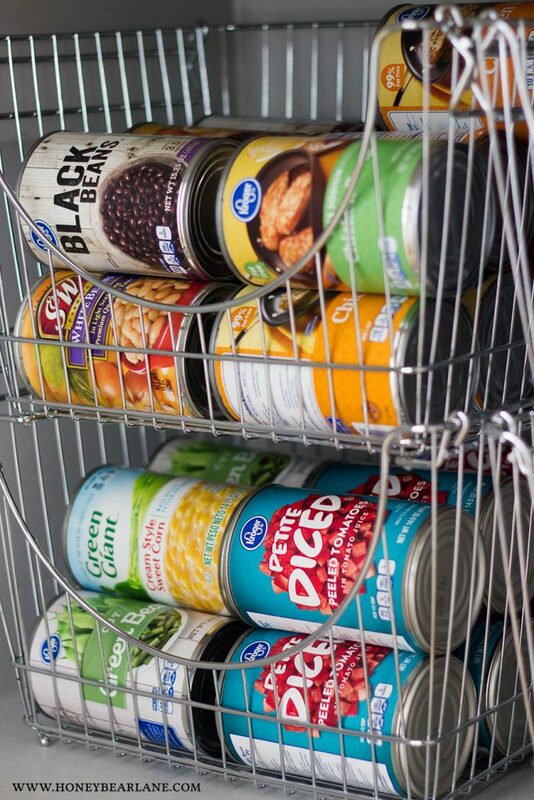 I decided these would work pretty well for my canned goods that I keep in the pantry. It helps me see what cans I have and they rotate more easily. They stack on top of each other so I have four here and they are the perfect size and actually hold a lot of cans. 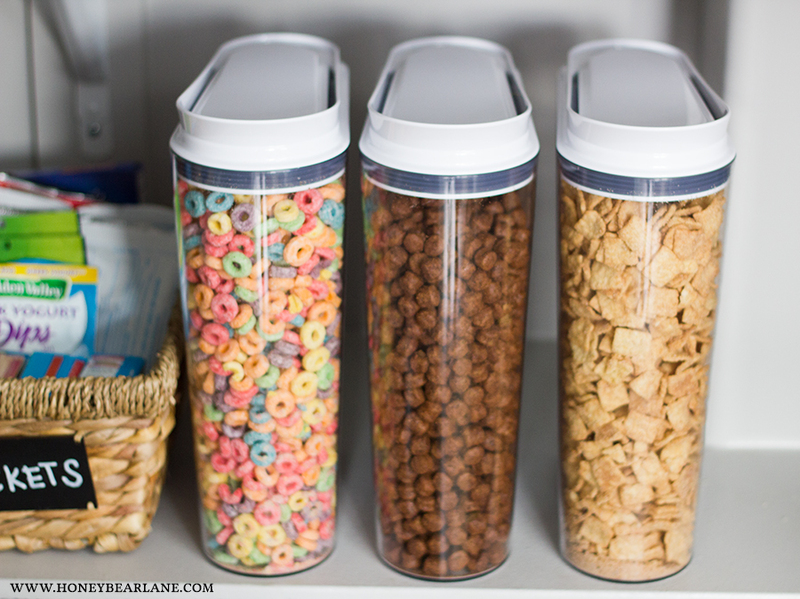 Cereal containers: I’ve used these for a few years now because I hate having open boxes of cereal in the pantry. 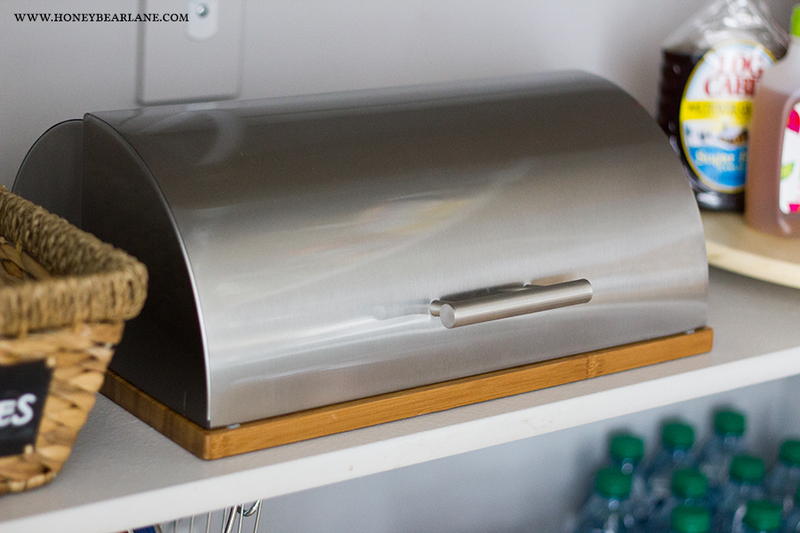 These ones from Better Homes and Gardens are so nice…they have a sealed top with a section that pops open. They are a nice crystal clear plastic so you can easily see what’s inside and how much you have of it. I also like these because I can buy cereal in those giant bulk bags and just pour it in, so it saves a little money too. 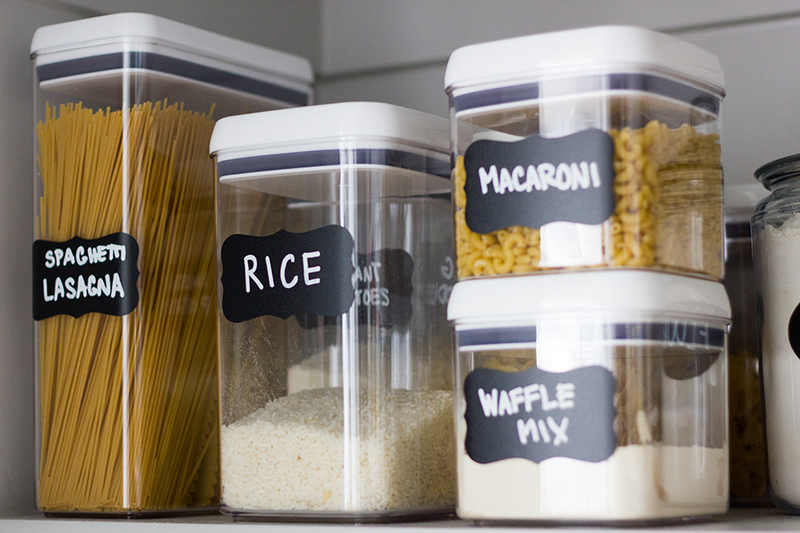 Pasta containers: These are also Better Homes and Gardens line. What I love about these containers is they have an airtight seal but the lids are easy to get on and off. There is a little handle ‘lock’ that you flip over and it releases. These containers come in a bunch of different sizes as well. I actually combined my spaghetti noodles with my lasagna noodles because the tallest container is pretty big. And it’s fine because it saves on space. 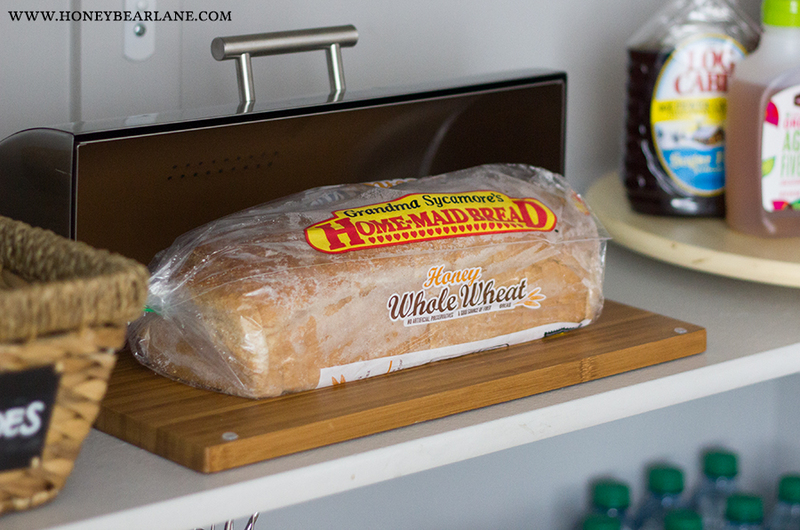 Bread Box: I also really love this BHG bread box I got! I keep my bread in my pantry and it usually just ends up in a big pile in the corner. And there’s always like a couple bags with a couple pieces left that are just getting old and stale because I’ve forgotten about them. So I really wanted something that will keep the bread more fresh and have a place designated for it. It’s easy to open and close and holds a couple of loaves. 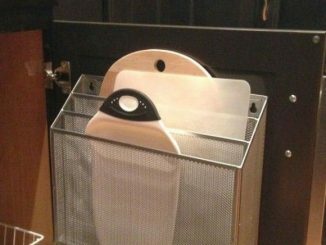 Lazy Susans: In the corners I put some large lazy susan’s. 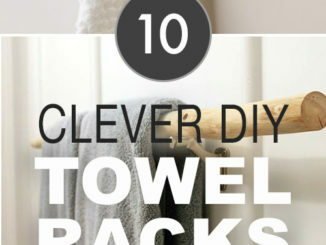 These are the perfect solution for a corner space. I have two–one for oils and cooking stuff and the other for sandwich making and other miscellaneous things. 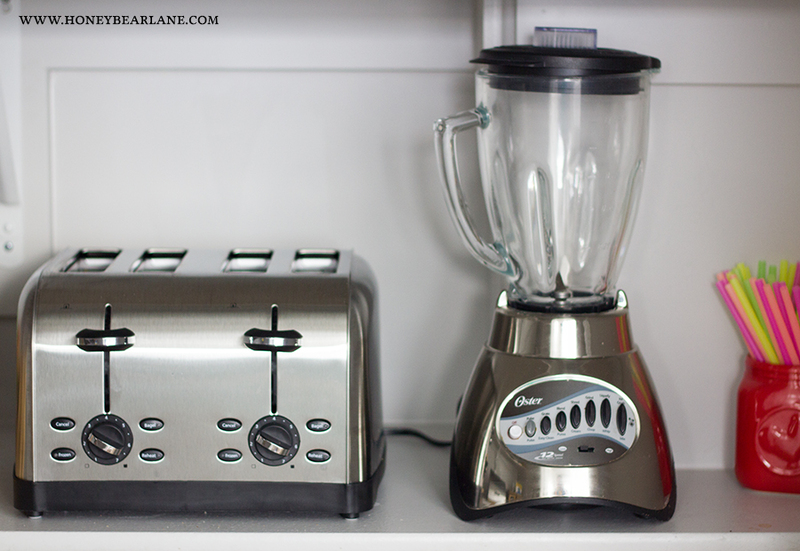 Small appliances: One of the best parts of the pantry is that we had an outlet installed so now I can leave my toaster and blender in here. I hate the kitchen counter being cluttered up with small appliances, so this is the perfect solution. And a mug full of straws for smoothies! 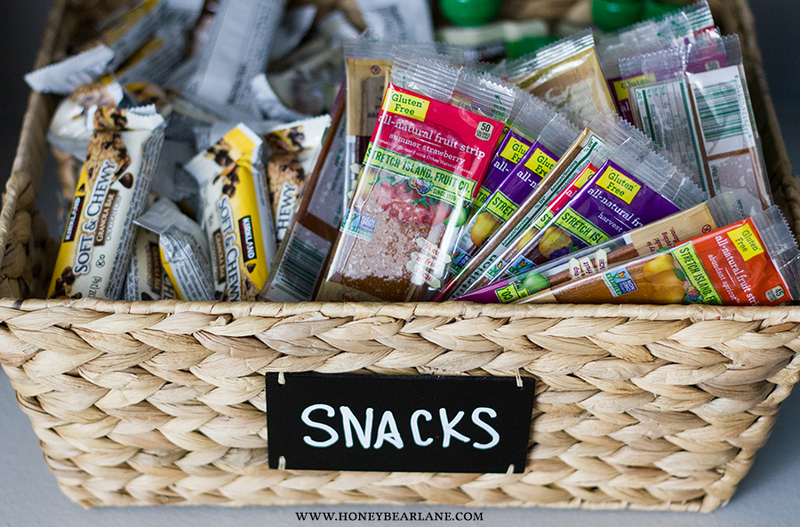 Snack basket: My kids favorite part of the pantry is this basket–the snack basket. And it’s nice because then I can see if we’re running low on snacks. 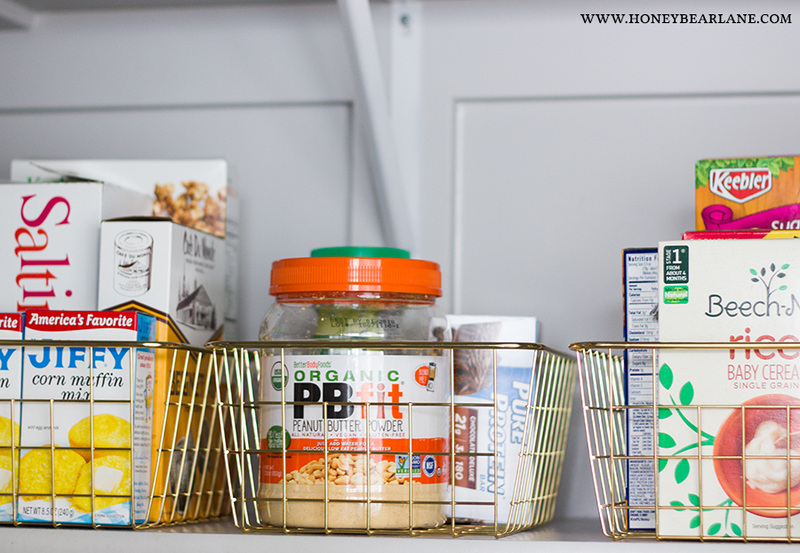 Grocery baskets: While I was at Walmart buying the other stuff, I saw these super cute gold wire baskets which I grabbed for something else but I decided to just try them out in the pantry. 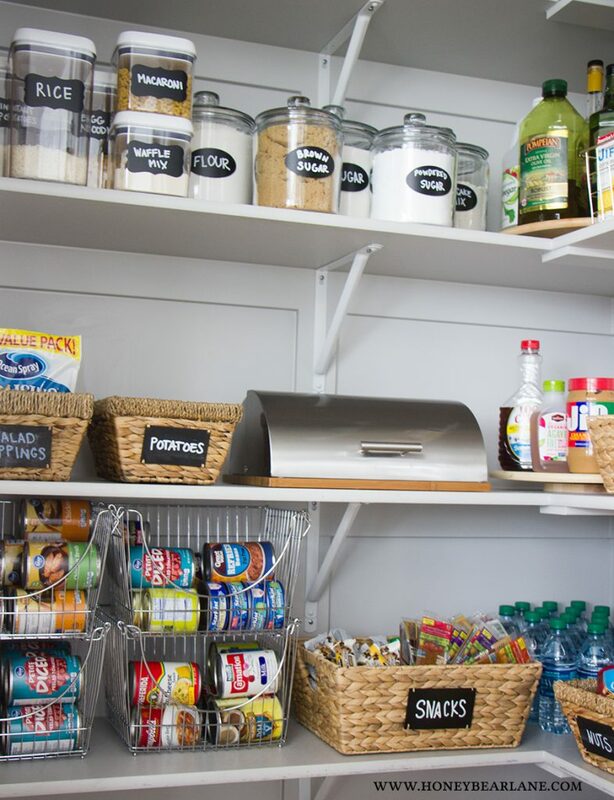 They ended up being the perfect little thing to finish off the pantry organization project–I can put the miscellaneous groceries in these baskets and see what’s in them. Small baskets: The last favorite thing are these hyacinth baskets, the media basket version. I wanted ones that were a little bigger but this is what Walmart had so I decided to try them out. I got four, and it turns out they were the perfect size. 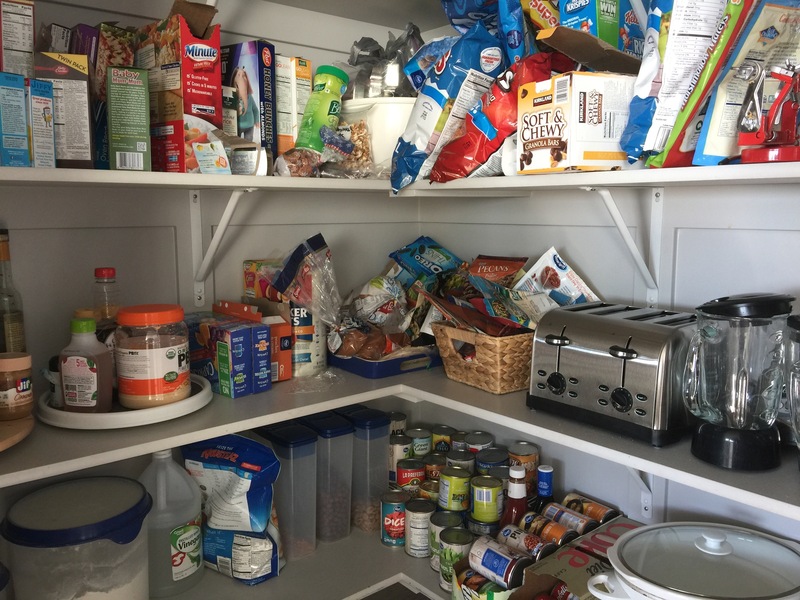 I could get a little more detailed in my organization and separate out various things–salad topping, nuts, packets (you know like salad dressing, pudding, instant oatmeal, etc), and even potatoes. I love having my potatoes in the basket now because my potatoes, previously living in their bags, would get old and sprouted before I could use them. Out of sight–out of mind. Now they are in sight and I remember to use them! I seriously think that cooking and grocery shopping will be so much easier now that I can A) see what I have and B) use what I have because I can SEE what I have. I wish I had done this a long time ago!!!! If you organize anything this year, make it your pantry. 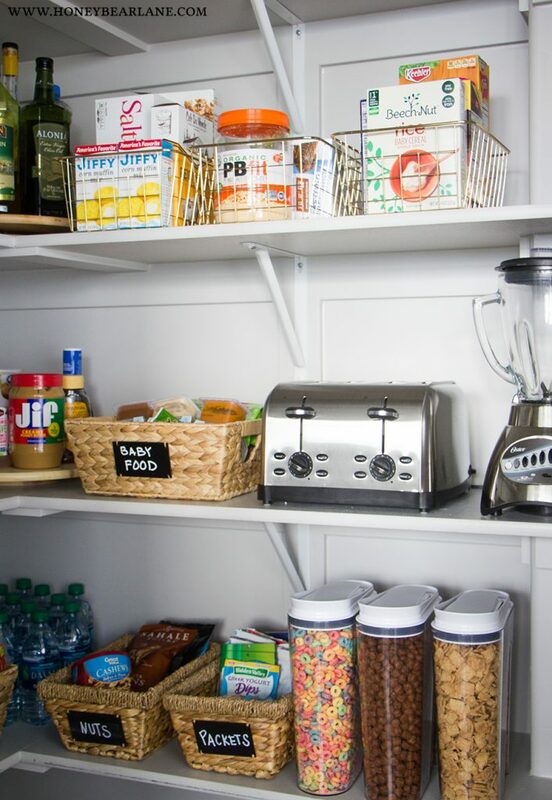 Because chances are you probably have some sort of healthy eating/weight loss resolution and having an organized pantry will help you succeed at both! 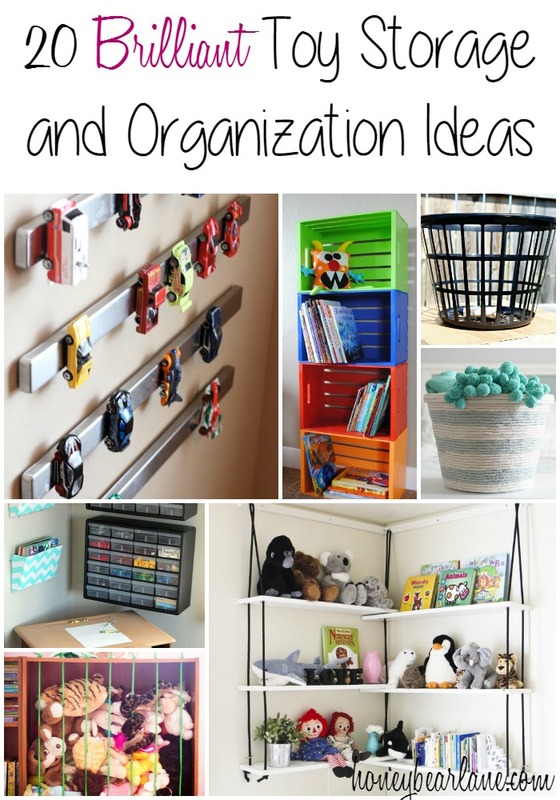 Here Are 19 Organizational Tips To Obtain Eliminate Clutter. The Best Part? It Could Be Performed With This Solitary Thing.